What are runes, these most enigmatic of characters? Even the word ‘rune’ itself is claimed to mean ‘mystery’. During this lecture with Professor Henrik Williams, enter the rich world of runic inscriptions, and find out particularly what women were up to in the ancient past. Runestones and other runic objects tell a fascinating story, often casting light on the lives of ancient women coming from many walks of life. On mighty memorials - the first public artwork - women acted as commemorators, and were in the forefront of the Christianization process. On inscribed sticks, popular subjects familiar from graffiti are mentioned. Recent research has uncovered the vital role of women in runic inscriptions. 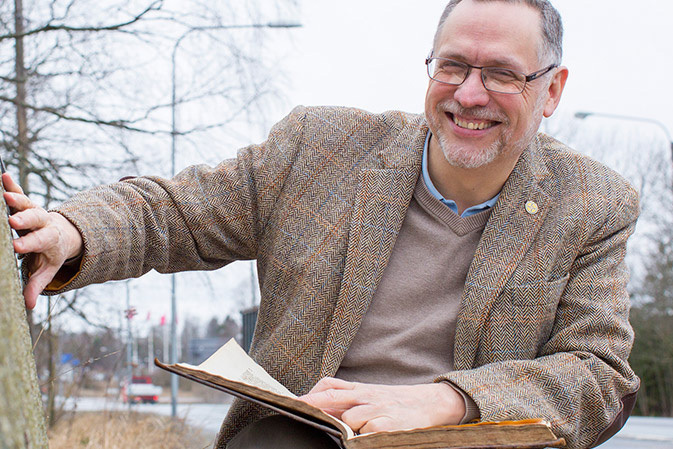 Professor Henrik Williams from Uppsala University in Sweden, is one of the world’s leading runologists and professor of Scandinavian Languages. His research combines established traditions of scholarship with modern linguistic science.